Boy, do I have a treat for you! Coming up this weekend, January 14 and 15th that is, is the German Winter Cup! This exciting prelude and qualification tournament will see 18 teams face off for 1 of 3 spots qualifying them for the European Quidditch Cup to be held March 25 - 26 in Mechelen, Belgium. This amazing and fierce competition is being held in Munich, Germany at the Sportpark Nymphenburg. 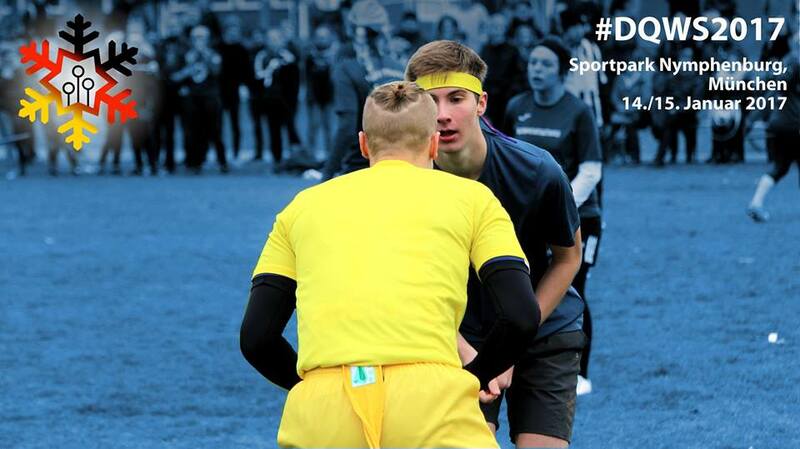 There you will see teams give it their best effort as they attempt to best their competition, battling for the honour of being one of three teams representing Germany at the European Quidditch Cup. Hosted in a collaborative effort by the Münchner Wolpertinger and Three River Dragon Passau teams, this tournament promises to be one filled with intense quidditch action and fun social events! But wait there’s more! If you though this event was not something you could possibly come see you will be pleasantly surprised. Sportdeutschland.TV,the organization responsible for the World cup live streams last July, is back on board to live stream all of the Pitch 1 games! You will most likely be able to find these games at http://sportdeutschland.tv/quidditch on the 14th and 15th. You can keep apprised of live stream updates and other tournament details on the event page. Other tournament information can be found in the official tournament information package HERE. A full tournament schedule can be found HERE. The award and closing ceremony will take place after the final, which is expected to end on Sunday 18:00 (6:00 PM CET) on pitch 1. Whether you come out to Munich, or come out from your home computer, DQB welcomes you and hopes to “see” you there!